This Christmas spot the difference worksheet is a festive way to build your child's concentration and memory skills. A mischievous elf has snuck out of Santa's workshop, and now he's got his eye on Santa's cookies! Can you find the seven differences between the two silly scenes? This printable game is great for boosting concentration and Memory skills, and also makes a fun backseat game for winter-break car rides. 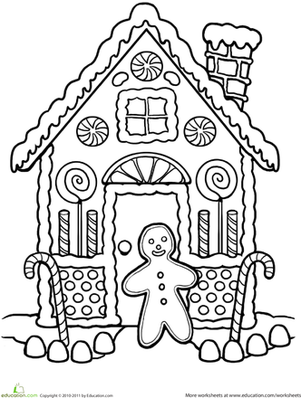 For added fun, colour it in! Try our Christmas spot the difference exercise with your child this winter break. Practise spelling Christmas words with this challenging crossword puzzle. Looking for a way to help your child practise counting this Christmas break that's more engaging than a number line? 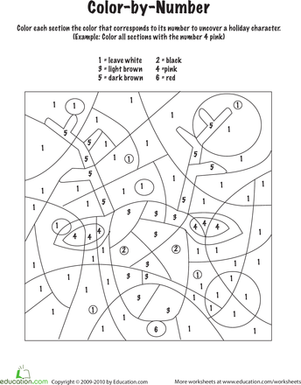 Try a numbered dot-to-dot!